Thank you so much for your advice. It is really very helpful. :) My studio has a big problem. It used to be a school for ballet only, but in the past 10 years it has evolved into something completely different. It focuses mainly on a jazz and hip-hop competition team that they have (I'm not on it) that goes to conventions like Jump, Nuvo, and LA Dance Force. They offer 1 pointe class per level and its normally an hour long, and only 2 ballet classes are required. I want to go pro someday, (I'm 12) but this coming fall I would only be able to take 3 ballet classes and 1 pointe class. They've cut ALL the pointe classes down to only 45 minutes and I'm going into my 2nd year on pointe!!!!!!!!!! How am I supposed to improve if I only get 45 mins. of pointe a week?!?!?!?!?! They won't let me take the level below either because I wasn't held back. Private lessons are $60 an hour!! There are two pre professional schools schools in my area: The Studio, the School of Classical Ballet in Santa Cruz and Ballet San Jose School. Both schools have produced some of the top dancers in the U.S.A. Could you posssibly do a little research on these schools and tell me which would be better? I'm going to both of their summer programs, too. To tell the truth, I REALLY don't want to continue at my current studio this fall. Please help!!!!!!!!!!!!!!!! Thank you for contacting me, it is a pleasure to hear from you. I am so happy to hear my advice comes in helpful to you. That is unfortunate your ballet school has evolved into something different and less focused on ballet. I understand this must be very frustrating for you. However, it is good that you are 'taking action' now and thinking of ways to solve this problem. to dance professionally one day then you will need to take part in more serious, regular training. 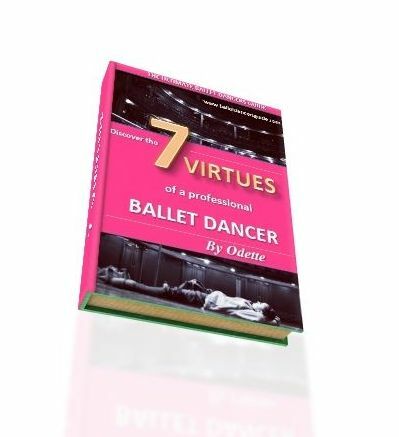 The process to become a professional ballet dancer is very extensive and dancers do have to train rigorously each day for years to develop the strength that's required for ballet. It sounds like you are very determined to overcome this set back from your dance school and this attitude is very promising. It is great you have looked into pre professional schools, as it is the intense, regular training that is most crucial for aspiring professional dancers. If you are serious about becoming a ballet dancer, a vocational dance school will provide you with the most advantageous opportunities for you to become a professional. Ballet San Jose School is the official school of Ballet San Jose company. It was established in 1996 and is the only professional ballet school in Silicon Valley associated with a major ballet company. The school's training is based in the Bournonville technique and aims to develop dancers into professional students. It is most beneficial to train at a ballet school that has an association with a professional ballet company. This will give you an aspiring environment and a clearer goal. It is fantastic you are going to both of their summer programs, this will give you the worthy opportunity of experiencing what both places are like. You often have to follow your gut feeling and see which one you like best, as it is crucial to feel happy and comfortable in the place you train. Take notice to the teachers, the facilities, the people, the place. After both summer programs, have a reflect to see which place makes you feel most excited. Keep in touch and let me know how you get on. You are definitely making the choices by exploring other options than your current dance school, as to become a professional dancer you have to think about where the best place is for you to train, study and learn.